Teachers are required to have a Bachelor of Science Degree in Elementary Education or related field with a minimum of two years experience in early education. Should you have a question, your teacher will be available at the School from 12:00 to 12:30 P.M.
We follow a public school calendar generally, beginning the second week in September and continuing through the end of May. We have Thanksgiving, Christmas, and Easter vacation time. Parent Conferences will be held if requested. Please check with your child’s teacher. Three snow days will be allowed for the 3-day program and two snow days for the 2-day program. After that amount, we will try to make up additional snow days at a later date. A non-refundable registration fee of $25.00 will be collected from each child, regardless of when he is enrolled in the school. Tuition fee of $95 per month for 3-day program, and $75 per month for the 2-day program must be paid in advance. September’s tuition payment must be paid by August 15, 2016. Payment is not to be sent with the child. Notices will be mailed home when tuition is one month past due. If tuition becomes two months past due and no provisions for payment have been agreed upon, the child will no longer be able to attend L.P.N.S. and will be replaced with a child from the waiting list. A refund can only be given if a replacement for your child can be obtained. If for some reason a parent decides to withdraw a child form Nursery School, a written letter of intent 2 weeks prior to withdrawal is necessary so that a student from the waiting list can be enrolled as soon as possible. We recognize that the number of sessions attended by your child will be altered by holiday, sick days, and inclement weather. However, the monthly fee cannot be adjusted for any reason. Economically we have allowed very little margin to cover our fixed monthly expenses, and we must rely upon your prompt payment to meet our obligations. The Nursery School is financially independent of the Church. A committee comprised of Church members, parents, faculty members and interested persons determine all policies and reports to the Church Council. Be prepared for an adjustment period during the first two months. Even though your child may rebel at first, he needs TIME. The period will vary, but since the parent and teacher both have the child’s interest in mind, progress will evolve. 1. Assure him you will return shortly. If he has never been left at a playmate’s home or a church nursery, try to do this at least once before school opens. 3. Present school as a natural experience which you expect him to enjoy. Sometimes too much preparation reinforces doubts in his mind. Do not remove his clothing nor hang it up for him in the classroom, after a few days he will develop this independence more rapidly aided by the staff. On the first day of Nursery School, a complete change of clothes is required for each child to be kept at school. The School will be operating from 9:30 A.M. to 12:00 Noon Monday, Wednesday, and Friday for the 3-day program; Tuesday and Thursday for the 2-day program. Please do not bring your child before 9:25 A.M., and pick them up no later than 12:05 P.M. This is for the protection of your children. Please send a note along with your child if you do not intend to pick him up personally after school. Please inform us who will. Our school offers many varied activities and interests for the active pre-schooler. Each day the children experience interacting with peers in free playtime. We practice using fine motor skills at craft time, doing finger plays and songs and various games. The children enjoy large motor activities both in the classroom and at the nearby tot lot. Our circle time enhances the using of good listening skills through the reading of stories and discussions of seasonal topics. Of course, no day would be complete without snack. Children must be three years by September 1st. This coincides with Conrad Weiser School System cut off date. Your child will then be attending Nursery School with some of the same children as those in his kindergarten class. He/She should also be toilet trained by the beginning of the school year. 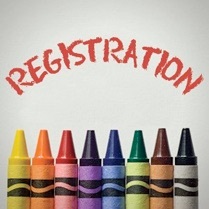 Pre-registration for any returning children or siblings of presently enrolled children of Trinity Church members will be held in the Spring for the following year. Open registration for the general public will follow around that time. After registration is completed, class rosters will be made up according to the children’s birth dates. Children can be enrolled or placed on waiting list at any time during the school term if an opening exists. A non-refundable registration fee of $25.00 is required at the time of enrollment. Open House- One Sunday in October will be set aside for parents and guests to have an opportunity to visit the Nursery School and meet your child’s teacher. Refreshments will be served. Observation- You are welcome to come and observe your child’s class anytime after October 13. This will give your child and adjustment period. Please call the teacher for an appointment. Inclement Weather- If the Conrad Weiser School District is closed, it is automatically assumed we will be closed. When the Conrad Weiser School District delays the opening of school for one hour, we will also open one hour late (10:30 A.M.). However, in this case, school will end at the same time (12:00 Noon). When the Conrad Weiser School District delays the opening of school for two hours, Nursery School will not have school that day. Listen for Conrad Weiser closings or delays on the FM radio stations Y-102 or 107.5. You may also call Conrad Weiser’s hotline number: 610-693-8599. Discipline- Any child having a disciplinary problem which may prove harmful to the other children will be asked to withdraw from school after a reasonable length of time, on the advice of the teacher.